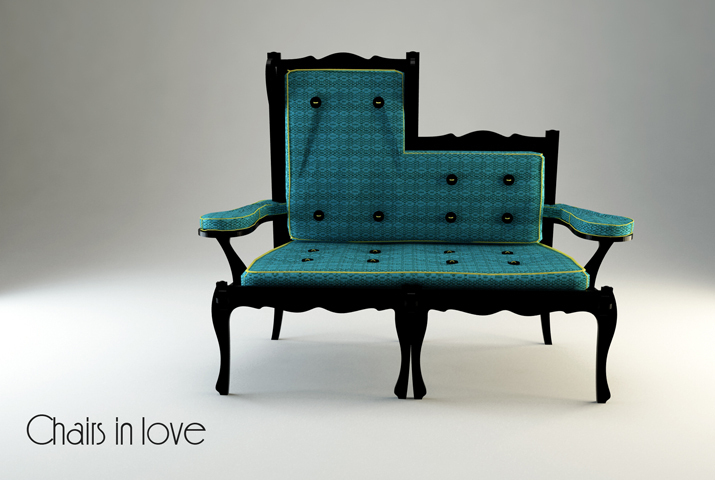 Nothing symbolises 18th century furniture more than the cabriole leg. 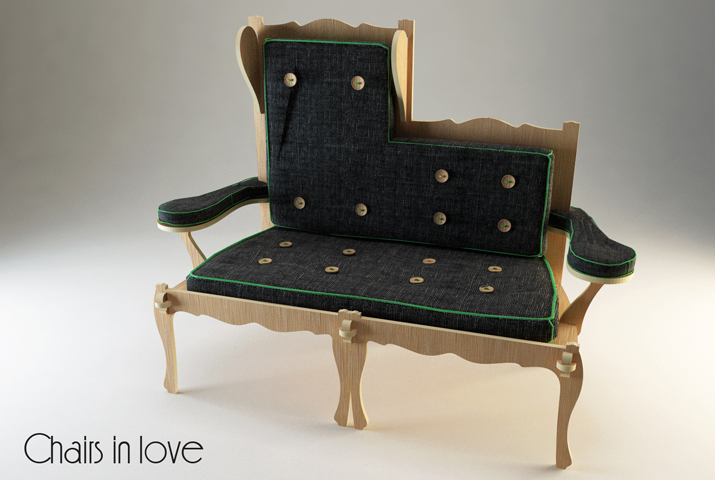 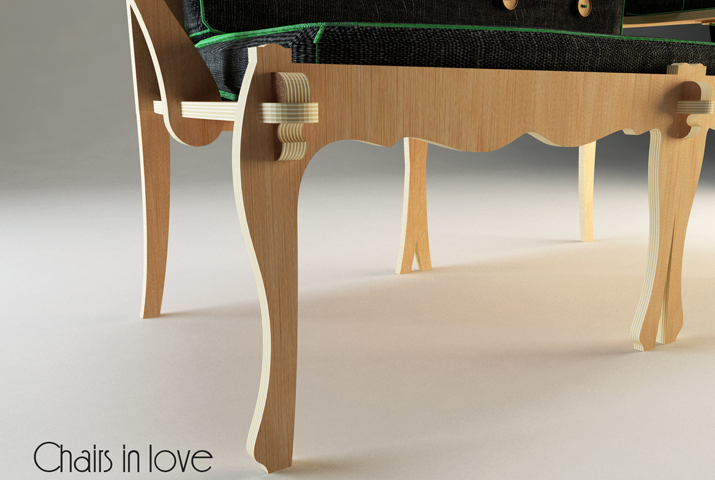 A restyling of a 18th century sofa: this is my tribute. 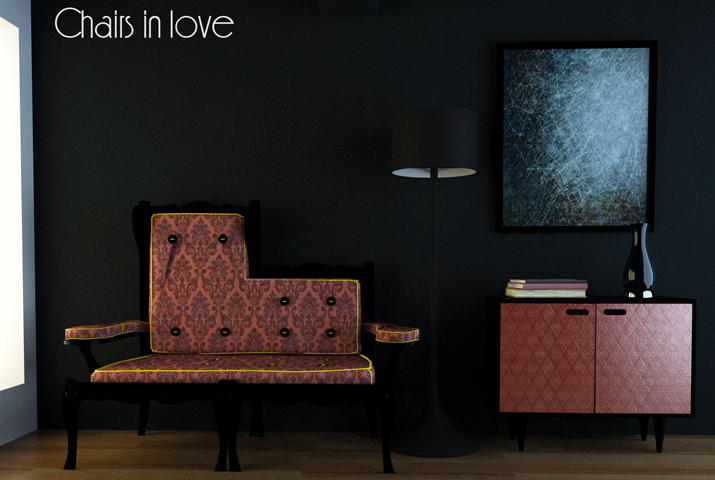 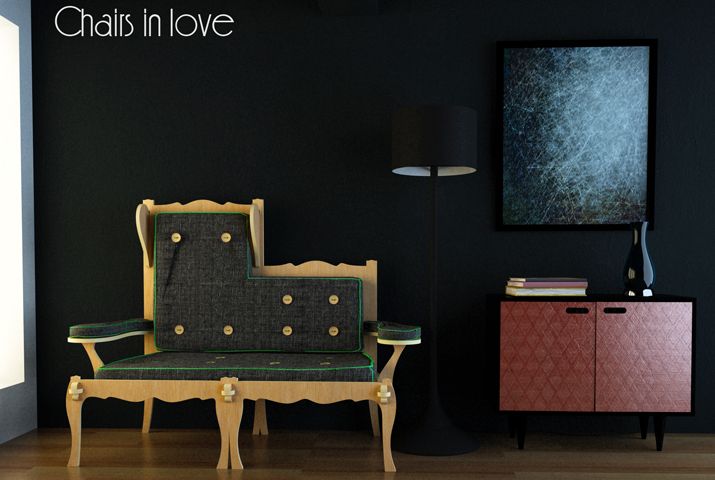 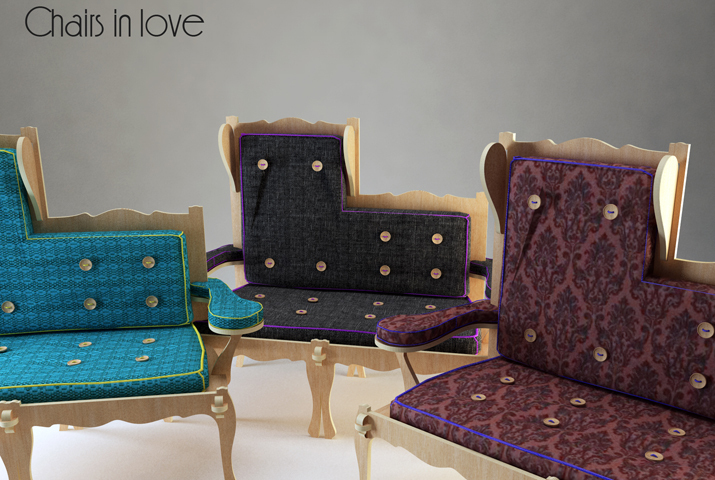 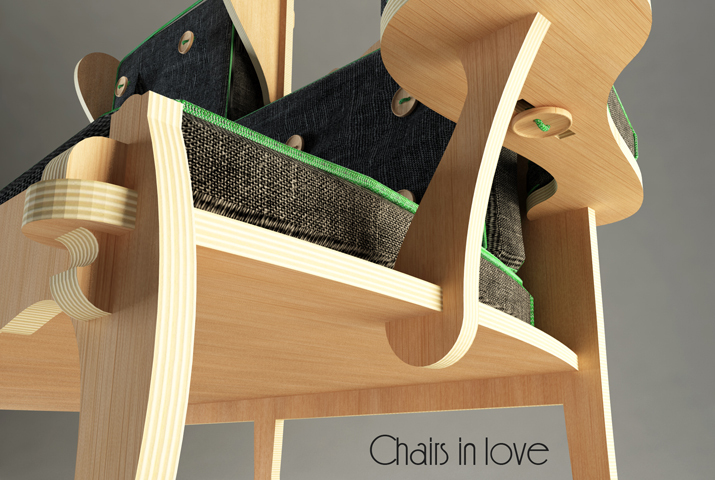 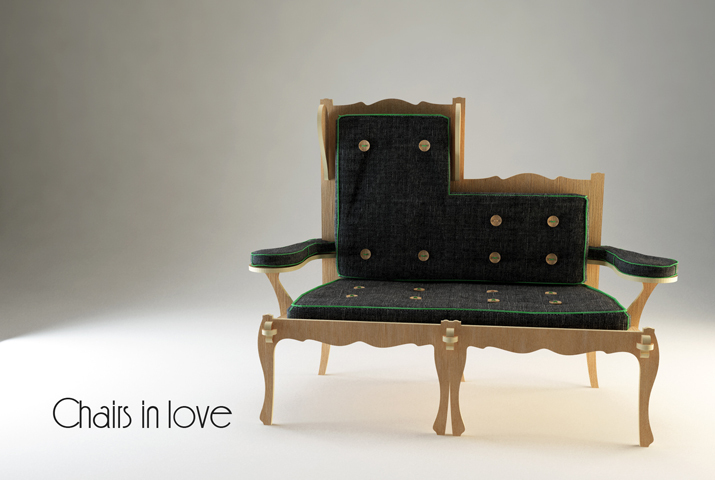 Easy to assembly, Chairs in love is born by the love fusion of two chairs.